Sami Shawwa was born in Cairo, to an Orthodox family from Aleppo, who formed a musical legacy. His great grandfather Joseph was a violinist at the beginning of the eighteenth century and founded a takhet he called the “noubat Shawwa” with his brothers Antoine (violin), Abboud (oud), Habib (tabla) and his son Elias (qanun) who was Sami’s grandfather. Sami Shawwa’s father, Antoine, a skilled violinist, moved from Aleppo to Turkey and then traveled to Egypt, where violin was not widespread in Egyptian Takhet. He performed with the leading singers like Abdu el-Hamouli. During that period, Sami and his two brothers were born, after which the family returned to Aleppo, where Sami demonstrated his passion about the violin despite his father’s opposition. However, his mother and grandfather Elias took the initiative in convincing his father to allow him to pursue playing the violin. Sami quickly rose to fame in Aleppo and became known as a musical miracle. As soon as he became fourteen years old, his father sent him to Egypt where he mesmerized audiences supported by senior musicians who were friends of his father. Sami Shawwa met Mansour Awad, his father’s friend, and one of the most prominent oud players who contracted with “Gramophone” in Cairo. 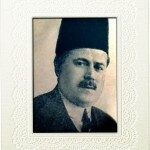 Awad supported him to accompany the leading singers at the beginning of the twentieth century. 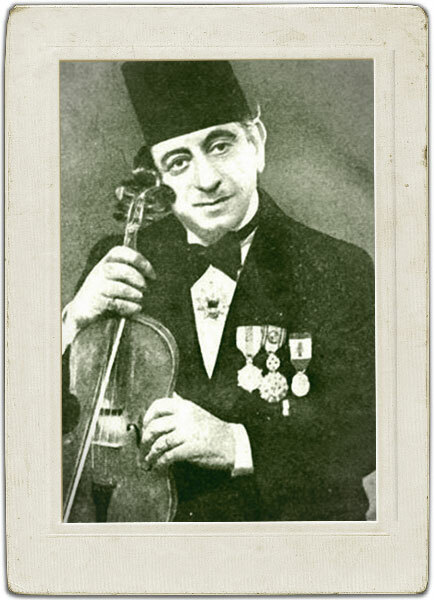 Shawwa often replaced famed violinists, such as Ibrahim Sahloun, the most important musician in the Takhet of Youssef Al- Manyalawi and Abdul Hayy Helmi. In 1906 Shawwa established a school in partnership with Mansour Awad to teach music following the European notation approach. In this context, he wrote a number of educational exercises such as a book entitled “the Eastern Oud Method” (1921) and in 1946, he published a research about the Arab and Western music theories. 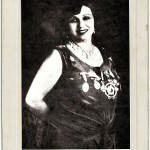 Shawwa became the leading musician associated with prominent singers, especially after First World War and the death of Ibrahim Sahloun in 1920, and maintained this status in the music scene until the mid-thirties of the last century. Furthermore, Shawwa’s role was critical in convincing the reluctant managers of “Baidaphone” to allocate the nine albums left of his contract with them to young Sayyid Darwiche. Shawwa maintained strong relationships with many intellectuals and literary figures in Egypt like Imam Mohammed Abdo, Mustafa Kamel, Qasim Amin and Ahmad Shawqi. Shawwa’s advanced knowledge of Arabic and Iraqi music, allowed him to play an important role in planning and preparing for the Arab Music Conference held in 1932. Specifically, he participated in the committee of the musical scale, which began its preparatory work in 1929 and contributed significantly to the activities of the conference and its theoretical discussions. With the shift of modes of music production in Egypt during the mid-thirties of the twentieth century towards modernization and Westernization that were led by Abdel Wahhab dominating the music scene and replacing previous idioms, Shawwa was no longer able to maintain his previous musical position and influence. However, he maintained a good relationship with “Gramophone” and resumed his educational role. He also conducted several tours to Europe and South and North America where he made many recordings of supreme beauty and excellence. Sami Shawwa died in Cairo on the twenty-third of December 1965, leaving a legacy of important recordings that reflect prestigious standing that he built, after his father, for the Arab Violin.